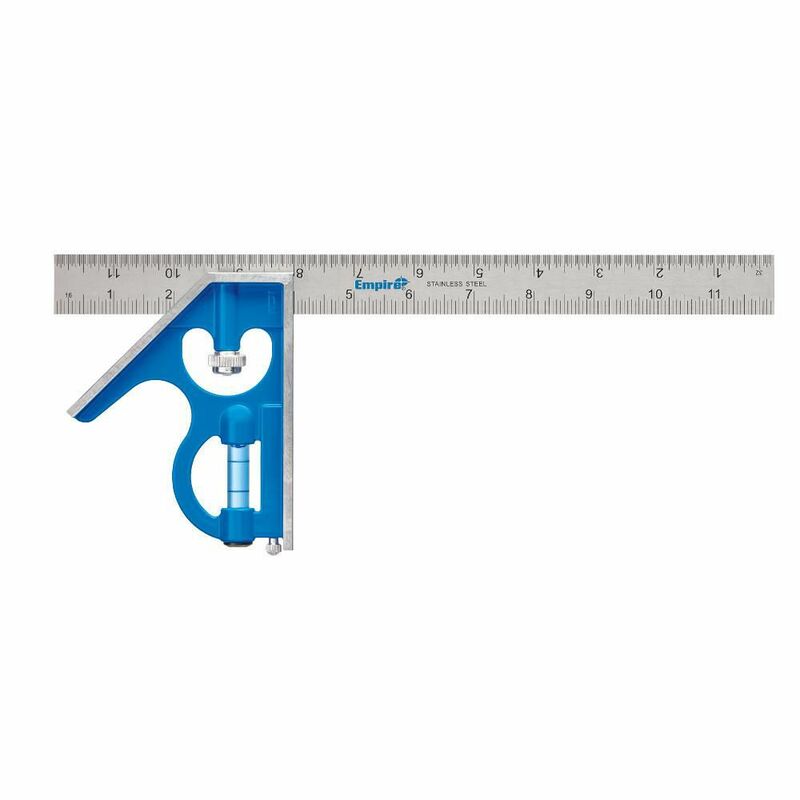 The Johnson Aluminum Drywall Square is used for general carpentry -- perfect for marking or cutting sheet goods. Unique rivet assembly permanently "bonds" head to blade. Clear protective anodized finish. Large, bold easy reading graduations. True Blue 12-inch Combo Square The HDX 3 in. x 200 ft. Danger Barricade Tape is for use in hazardous areas. This red tape has a black print which reads Danger/Peligro. Made of durable plastic, it remains pliant in cold weather. True Blue 12-inch Combo Square is rated 4.6 out of 5 by 265. Rated 5 out of 5 by Fred from My old combination square was probably 30 years old or more and I decided that I needed a replac... My old combination square was probably 30 years old or more and I decided that I needed a replacement. The Empire combination square is of great quality and you can't say that they don't make them like they use to, as Empire does. Rated 5 out of 5 by RV22 from easy to read numbers - solid - sturdy construction -... easy to read numbers - solid - sturdy construction - well made and a very handy tool to have for most of your woodworking needs. Rated 4 out of 5 by HomeDepotCustomer from Wish it also included metric. Good value.... Wish it also included metric. Good value. Rated 5 out of 5 by Scott from Easy to read. Accurate machining. Easy to read. Accurate machining.